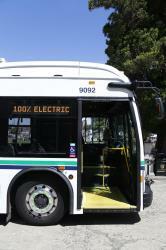 What is the cheapest way to get from Chilliwack to Lougheed Town Centre Station? 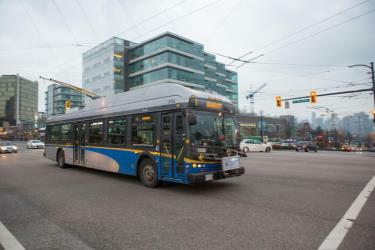 The cheapest way to get from Chilliwack to Lougheed Town Centre Station is to bus and line 555 bus via Downtown Exchange Bay B which costs $6 and takes 1h 37m. What is the fastest way to get from Chilliwack to Lougheed Town Centre Station? The quickest way to get from Chilliwack to Lougheed Town Centre Station is to drive which costs $9 - $14 and takes 58m. 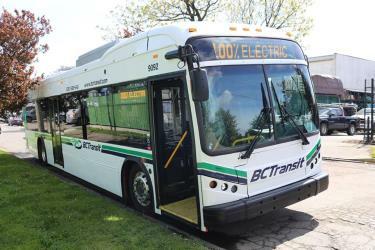 Is there a direct bus between Chilliwack and Lougheed Town Centre Station? No, there is no direct bus from Chilliwack to Lougheed Town Centre Station station. However, there are services departing from Chilliwack, BC and arriving at Lougheed Station @ Bay 8 via Carvolth Exchange @ Bay 9. The journey, including transfers, takes approximately 1h 13m. How far is it from Chilliwack to Lougheed Town Centre Station? The distance between Chilliwack and Lougheed Town Centre Station is 69 km. The road distance is 83.6 km. How do I travel from Chilliwack to Lougheed Town Centre Station without a car? The best way to get from Chilliwack to Lougheed Town Centre Station without a car is to bus and line 555 bus which takes 1h 13m and costs $25 - $35. How long does it take to get from Chilliwack to Lougheed Town Centre Station? It takes approximately 1h 13m to get from Chilliwack to Lougheed Town Centre Station, including transfers. 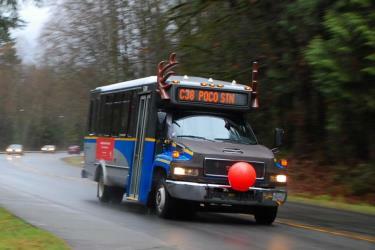 Where do I catch the Chilliwack to Lougheed Town Centre Station bus from? 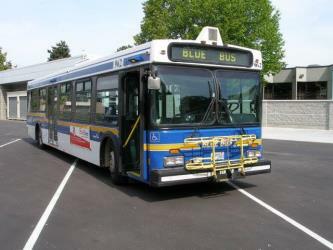 Chilliwack to Lougheed Town Centre Station bus services, operated by BC Connector - Wilson's Group, depart from Chilliwack, BC station. Where does the Chilliwack to Lougheed Town Centre Station bus arrive? 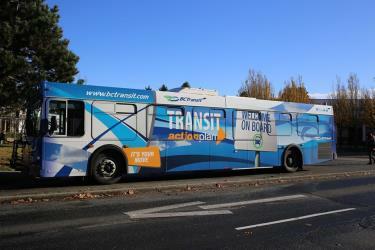 Chilliwack to Lougheed Town Centre Station bus services, operated by TransLink CA, arrive at Lougheed Station @ Bay 8. Can I drive from Chilliwack to Lougheed Town Centre Station? Yes, the driving distance between Chilliwack to Lougheed Town Centre Station is 84 km. It takes approximately 58m to drive from Chilliwack to Lougheed Town Centre Station. Where can I stay near Lougheed Town Centre Station? There are 959+ hotels available in Lougheed Town Centre Station. Prices start at $95 CAD per night. What companies run services between Chilliwack, BC, Canada and Lougheed Town Centre Station, BC, Canada? You can take a bus from Chilliwack to Lougheed Town Centre Station via Langley, BC and Carvolth Exchange @ Bay 9 in around 1h 13m. Rome2rio's Travel Guide series provide vital information for the global traveller. Read our range of informative guides on popular transport routes and companies - including Getting around the Cyclades, Bali: What to do if Mount Agung erupts and Train travel in France: A guide to SNCF - to help you get the most out of your next trip. The Burnaby Village Museum, previously known as the Heritage Village, is an open-air museum in Burnaby, British Columbia, Canada, located at Deer Lake Park. It is a reconstructed 1920s village, containing 31 full scale buildings; its costumed staff demonstrate traditional trades. The museum spans 10 acre of land. Some of the buildings are original heritage buildings, moved from other locations in the community and restored. Others are replica buildings, created to house specific displays and artifacts, including a 1912 B.C. Electric Railway interurban tram. The Museum is also known for the 1912 C. W. Parker Carousel, available for visitors to ride. Stanley Park is a 1001 acre public park that borders the downtown of Vancouver in British Columbia, Canada and is almost entirely surrounded by waters of Vancouver Harbour and English Bay. BC Place is a multi-purpose stadium located at the north side of False Creek, in Vancouver, British Columbia, Canada. It is owned and operated by the BC Pavilion Corporation (PavCo), a crown corporation of the province. It is currently the home of the BC Lions of the Canadian Football League (CFL), Vancouver Whitecaps FC of Major League Soccer (MLS) and the annual Canada Sevens (part of the World Rugby Sevens Series) as well as the BC Sports Hall of Fame. The stadium also served as the main stadium for the 2010 Winter Olympics and 2010 Paralympics which Vancouver hosted. Rome2rio makes travelling from Chilliwack to Lougheed Town Centre Station easy. Rome2rio is a door-to-door travel information and booking engine, helping you get to and from any location in the world. Find all the transport options for your trip from Chilliwack to Lougheed Town Centre Station right here. Rome2rio displays up to date schedules, route maps, journey times and estimated fares from relevant transport operators, ensuring you can make an informed decision about which option will suit you best. Rome2rio also offers online bookings for selected operators, making reservations easy and straightforward.